Alan Alda (b. New York City, January 28, 1936) gained international acclaim for his leading role as Hawkeye Pierce on 20th Century Fox Television’s hit series M*A*S*H. He garnered an unprecedented number of awards for his portrayal of a surgeon “temporarily misassigned” to the Korean War. During the course of the series’ eleven year run, Alda was nominated for twenty-one Emmys®. He won five of the golden statuettes, and became the first person to win the award as an actor, writer and director. In addition to his Emmys®, Alda has won the Writer’s Guild Award twice, the Director’s Guild Award three times, six Golden Globes® from the Hollywood Foreign Press Association as Best Comedy Actor, and seven People’s Choice Awards. He also nabbed the coveted Humanitas Award for writing the poignant episode “Dreams” (from a story be Alda and James Jay Rubinfier), which aired during the eighth season of M*A*S*H.
Alan Alda is the son of another distinguished actor, the late Robert Alda. His introduction to the theater came at the age of sixteen in summer stock at Barnesville, Pennsylvania. During his junior year at Fordham University, he studied in Europe where he performed on stage in Rome and on television in Amsterdam with his father. After college, he could be seen on stage and on the small screen. He also acquired improvisational training with “Second City” in New York and “Compass” at Hyannisport. With a background in political and social satire, he became a regular on television’s That Was the Week That Was. Alda received critical acclaim for his performance on Broadway’s The Owl and the Pussycat. 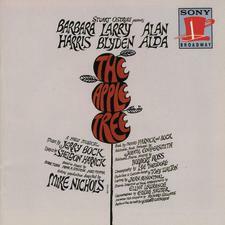 Other Broadway credits include Purlie Victorious, Fair Game for Lovers, for which he received a Theatre World Award, and The Apple Tree, which garnered him a Tony® nomination. Alda’s first motion picture part came in Gone Are the Days, in which he recreated his stage role from Purlie Victorious. He also appeared in The Moonshine War, Jenny, 20th Century Fox’s The Mephisto Waltz, and Paper Lion. On television, he performed in The Glass House on CBS and the ninety-minute television special of the Broadway hit, 6 Rms Riv Vu, co-starring Carol Burnett. He received and Emmy® nomination for his portrayal of Caryl Chessman in Kill Me If You Can. Alda’s talent does not stop with acting; he is also a well-known writer, director and producer. He made his directing debut on M*A*S*H, and then went on to direct 6 Rms Riv Vu on television, and several sequences in the Marlo Thomas television special, Free To Be . . . You and Me. He also created, wrote and co-produced the television series We’ll Get By. 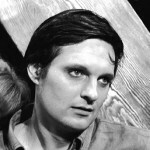 During the hiatus between the sixth and seventh season of M*A*S*H, Alda appeared in three motion pictures: Same Time, Next Year, California Suite, and The Seduction of Joe Tynan. For the latter, he also authored the script. In 1980, Alda wrote, starred in and directed Universal’s The Four Seasons, a huge critical and commercial success. He then went on to co-produce a television series version of The Four Seasons for CBS. Since M*A*S*H ended its eleven-year network run, Alda has written, directed and starred in several feature films including Sweet Liberty, A New Life, and Betsy’s Wedding. Among his many other movies are Crimes and Misdemeanors (1989), Jake’s Women (1996), Everyone Says I Love You (1996), The Object of My Affection (1998), What Women Want (2000), The Aviator (2004), Flash of Genius (2008), and Nothing But the Truth (2008). He has guest-starred in several episodes of ER (1999) and was a regular as Senator Arnold Vinick on The West Wing (2004–06). On Broadway, Alan Alda has appeared in Jake’s Women (1992), Art (1998), QED (2001), and The Play What I Wrote. As a member of the ensemble in the 2005 revival of Glengarry Glen Ross, he won a Tony Award®. A dedicated feminist, Alda was appointed in 1976 to serve on the National Commission for the Observance of International Women’s Year, where he co-chaired the Equal Rights Amendment Committee. In 1982, he was co-chair with Betty Ford of the National ERA Countdown Campaign. Alda’s civic duty does not stop with feminist issues. In 1985, he became a member of the Board of the Museum of Broadcasting. His wife Arlene is an award-winning professional photographer whose work has appeared in a number of magazines including Life, Vogue, People, US, and Ms. She is the author of five books, including one she co-wrote with Alan about the last week of M*A*S*H (The Last Days of M*A*S*H). They have three daughters: Eve, Elizabeth and Beatrice.